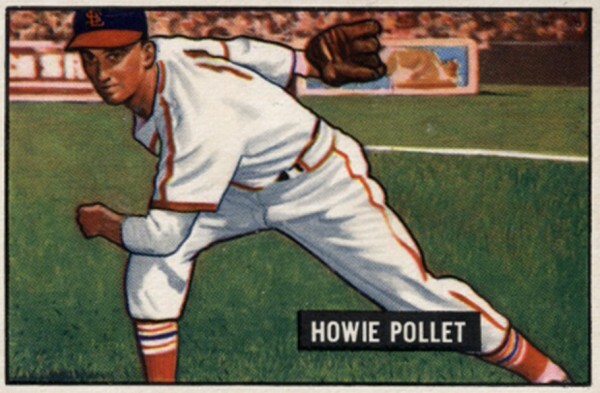 Howie Pollet was one of three left-handed pitchers from the same New Orleans block to make it to baseball's major leagues. 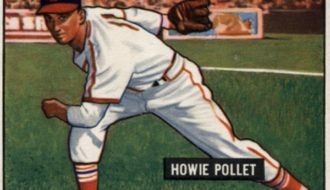 In 1938 professional baseball scouts were eager to sign Howard Joseph “Howie” Pollet; however, one clever fellow from the Houston Buffalos in the Texas League was smart enough to realize that he didn’t have to convince Pollet—he had to convince his mother, who later signed his contract during an American Legion game in New Orleans. With that, the seventeen-year-old graduate of Fortier High School was a professional baseball player. Pollet was born in New Orleans on June 26, 1921. He was one of three left-handed pitchers who grew up on the same block in New Orleans to make it to the majors; the others were Larry Lasalle and Mel Parnell. Pollet spent two years in the minors before making his major-league debut with the St. Louis Cardinals on August 20, 1941, at the age of nineteen. He would go on to become one of the premier left-handers in the National League. He made a brief appearance in the 1942 World Series, pitching one-third of an inning against the New York Yankees. Eight victories in fourteen starts in 1943 earned him his first of three trips to the All-Star game. In 1946 Pollet returned from two years of service in the Army Air Corps in World War II to have his best season: he won twenty-one games and led the league with a 2.10 earned run average (ERA) and 266 innings pitched. He tossed ten and one-third innings in two games in the 1946 World Series against the Boston Red Sox, going 0-1 with a 3.48 ERA. He would have another outstanding season in 1949, going 20-9 with a 2.77 ERA and earning his third All-Star berth. 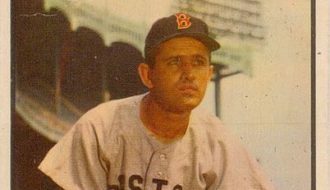 Pollet was traded to the Pittsburgh Pirates midway through the 1951 season. Over the next five years, he pitched for the Pirates, the Chicago Cubs, and the Chicago White Sox; the latter team used him primarily as a reliever. During his fifteen-year career, Pollet threw for 2,107 innings, winning 131 games against 116 losses with a 3.51 ERA. He served as a pitching coach for the St. Louis Cardinals (1959–1964) and ended his coaching career in Houston in 1965. Pollet was inducted into the Diamond Club of New Orleans Hall of Fame (1967), the New Orleans Sports Hall of Fame (1973), the Louisiana Sports Hall of Fame (1981), and the Greater New Orleans Professional Baseball Hall of Fame (2007). He died in Houston on August 8, 1974, at the age of fifty-three. Gisclair, S. Derby "Howie Pollet." In https://64parishes.org Encyclopedia of Louisiana, edited by David Johnson. Louisiana Endowment for the Humanities, 2010–. 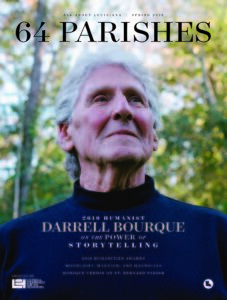 Article published March 12, 2014. https://64parishes.org/entry/howie-pollet. Forsch, Bob. Tales from the St. Louis Cardinals Dugout. New York: Sports Publishing, 2013. Gisclair, S. Derby. Baseball in New Orleans. Mount Pleasant, SC: Arcadia Publishing, 2004. Rygelski, James, and Robert Tiemann. 10 Rings: Stories of the St. Louis Cardinals World Championships. St. Louis: Reedy Press, 2011. Stahl, John Harry, and Bill Nowlin. Drama and Pride in the Gateway City: The 1964 St. Louis Cardinals. Lincoln: University of Nebraska Press, 2013.